From Africa to Maryland to a Quinnipiac basketball legacy, Abdulai Bundu has had one crazy ride. Bundu is a senior forward on the Quinnipiac Bobcats men’s basketball team. He has been at Quinnipiac for all four seasons, and has had a remarkable career and legacy at the school. He did not originally grow up around basketball, and was not even born in the United States. Bundu was born in Sierra Leone, a country in southwest Africa, and grew up there for most of his childhood. He would eventually move to Maryland and meet his parents along the way. Bundu was introduced to basketball in seventh grade by his coach. However, he was originally the “waterboy”. Bundu attended Largo High School in Prince George’s County, Maryland. At Largo, Bundu was a 2015 Capital Classic All Star and had a career high 54 points his senior season. Then after high school, Bundu had to adapt to the college basketball routine. His coaches always pushed him to succeed, which helped coming to college. However, even with his high school coaches helping him adjust, Bundu had two other freshmen to help him on the journey as well. Now senior guards, Andrew and Aaron Robinson grew up and played high school basketball just 27 minutes away from Bundu. Bundu met Aaron and Andrew Robinson differently than most. 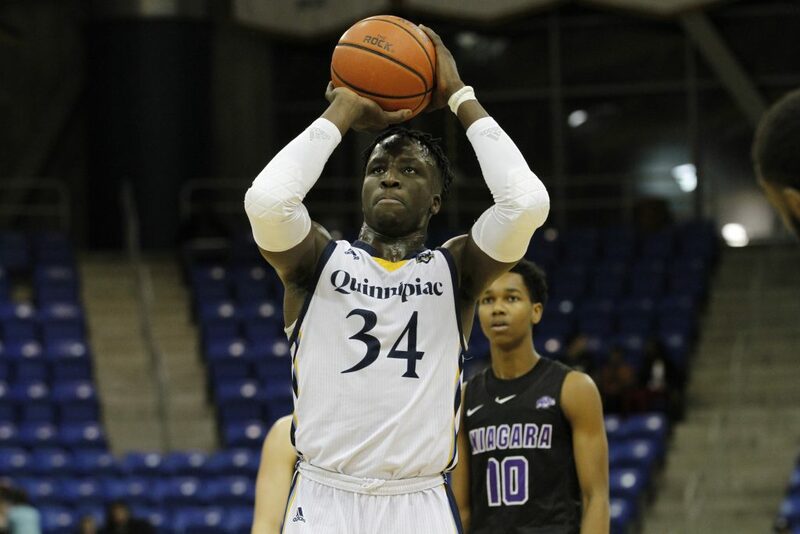 Now through four years, with coaching changes, player transfers and a “rollercoaster” ride at school, Bundu has amassed a legacy at Quinnipiac. Throughout his career he has totaled 686 points, 39 assists, 643 rebounds, 37 steals and 56 blocks. Bundu became the fourth player in Division I school history to amass 600 career points and rebounds. With stats aside, his favorite part about playing basketball at Quinnipiac are his teammates. Now with Bundu being a senior, he has to show the ropes to the freshmen this year, just like he got shown his freshman year. He enjoys how much the freshmen get along and feels as if he is their mentor. After Quinnipiac, Bundu hopes to play somewhere, but if all else fails he will always be around basketball. No matter what happens though, he will always keep a life motto.